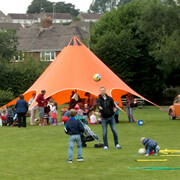 The annual FREE Playdays are back in Wincanton this month, at Cale Park this Thursday 10th August and next Thursday 17th August. 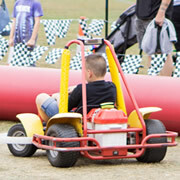 Two fun-packed half-days of adventure and play for any young people who can get there. 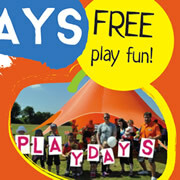 South Somerset have announced that there is an error in their poster for today’s Playday in Wincanton. The poster shows the event running between 10am and 1pm. 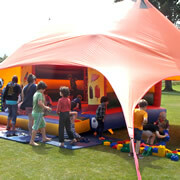 The event actually starts at 1pm and runs through till 4pm. Please pass the word to everyone you know. 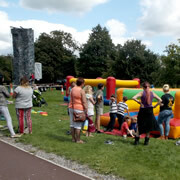 After successful summer events in 2014, Wincanton Town Council has been working to bring South Somerset Playdays back to Wincanton, Bruton and Henstridge, with more excitement over the summer holidays. 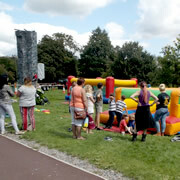 Two hundred children and parents turned up for a very successful 'Play Day' at Rickhayes Recreation Ground in Wincanton.